I love baking but sometimes I need to have a bit of a break from the sweet treats. 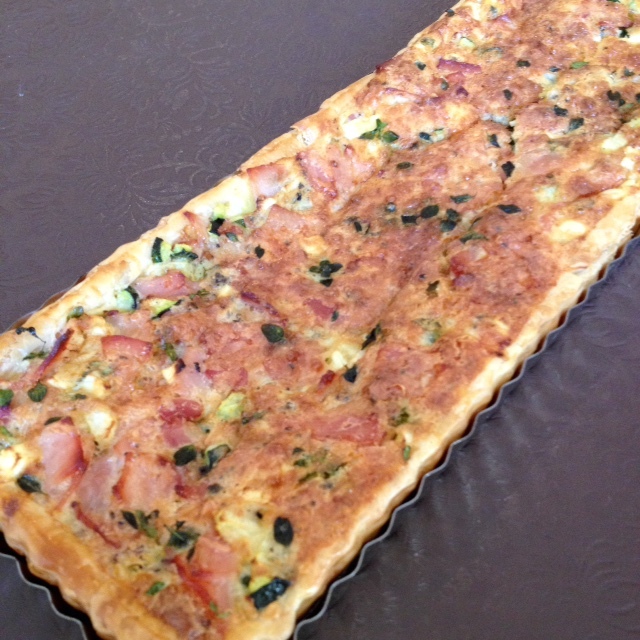 A quiche or cheese tart enables me to have the fun of baking and a nice lunch or dinner dish. The filling can be whatever combination of things you like but I nearly always make this three (or more) cheese version. It is a good way to use up the odds and ends of cheese that you have in the fridge. I make my pastry with cream cheese, however, any shortcrust will be satisfactory. If using commercial pastry use a block so that you can roll it out to the required thickness. Roll pastry out to 3 -4 mm thickness. I roll out onto cooking parchment. 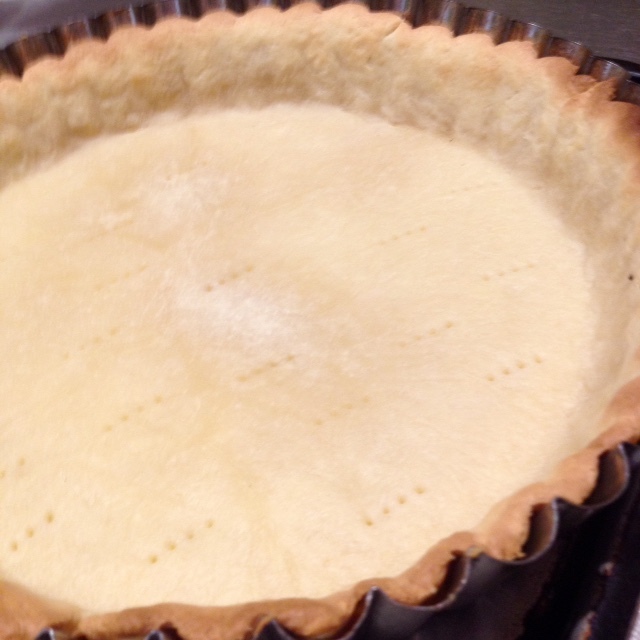 If you lightly dampen the bench the paper will stick and not slide about as you are rolling out the pastry. Roll from the centre of the pastry to the edges, trying to keep the pastry in a round shape. 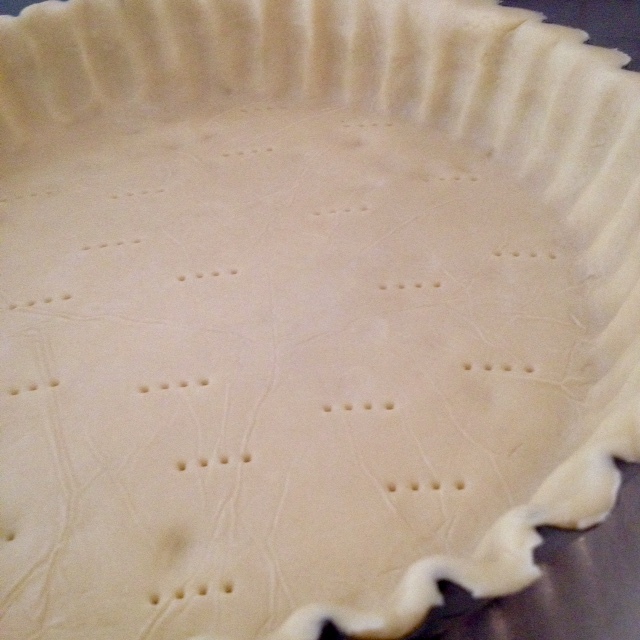 Pick the paper up and turn it over as you place the pastry in the greased tin. 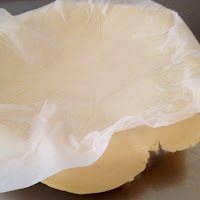 Peel paper from the pastry and adjust pastry to fit tin. Trim edges as required. Prick base with a fork. If possible freeze the shell. Remove from the oven and then carefully remove the baking paper and loading. 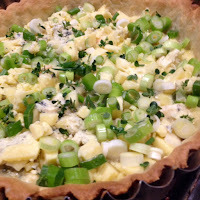 Return tart shell to the oven for a further five minutes. Add cheese, onions and thyme to the pastry case. Whisk eggs, milk, cream and a pepper together. 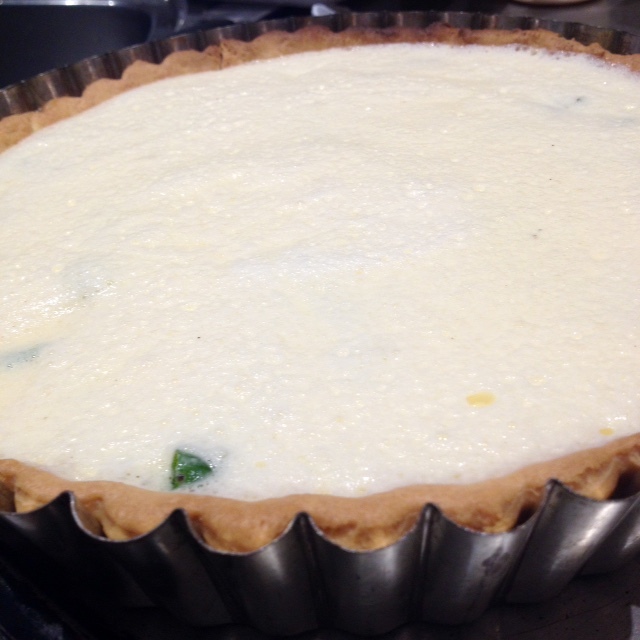 Pour the egg mixture over the cheese filling Bake at 160 deg C until filling is just set. 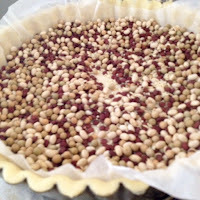 2 cups dried peas/beans to act as pastry weights/loading. Save and reuse. Cut butter and cream cheese into small cubes and mix together. Add flour and 1 tablespoon of water. Pulse until dough just comes together in to a ball. Add additional water if necessary. Knead dough lightly, approximately 8 pushes until smooth ball forms. Do not over knead as this will make the dough tough. 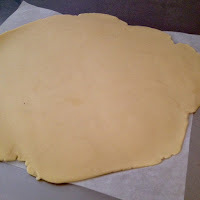 Shape dough into a flat disk about the size of a small plate. Wrap in plastic film. Chill for at least an hour. I usually leave for several hours or overnight. Roll out to 3 -4 mm thickness. I roll out onto cooking parchment. If you lightly dampen the bench the paper will stick and not slide about as you are rolling out the pastry. 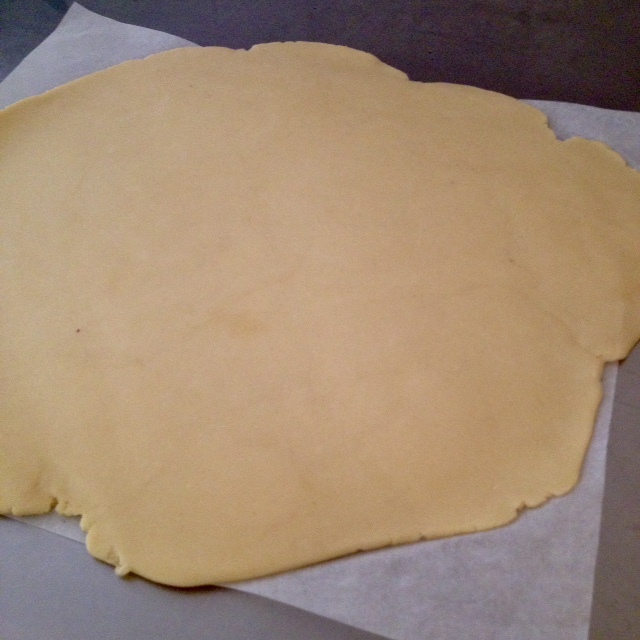 Roll from the centre of the pastry to the edges, trying to keep the pastry in a round shape. 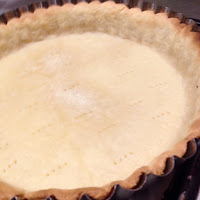 Line the pastry shell with baking paper. Add one - two cups of loading*. Bake for twenty minutes until pastry is starting to colour. 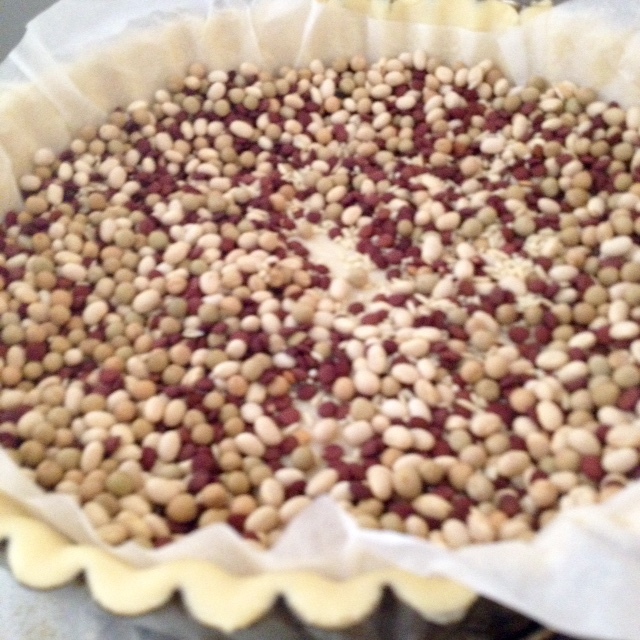 Remove from the oven and then carefully remove the baking paper and loading. 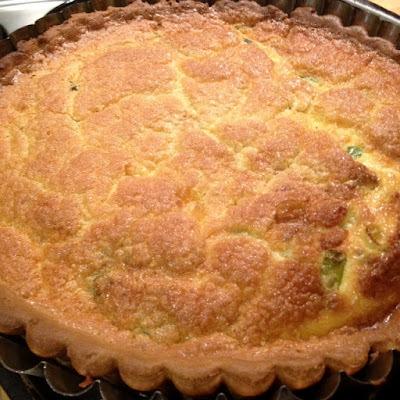 Return tart shell to the oven for a further five minutes. *Loading is a mixture of dried peas, beans, lentils chickpeas, rice etc. It can be used over and over again. Allow to cool and store in an airtight container. Do not use for anything else or try and cook it. 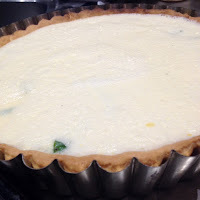 Allow to cool slightly before cutting.